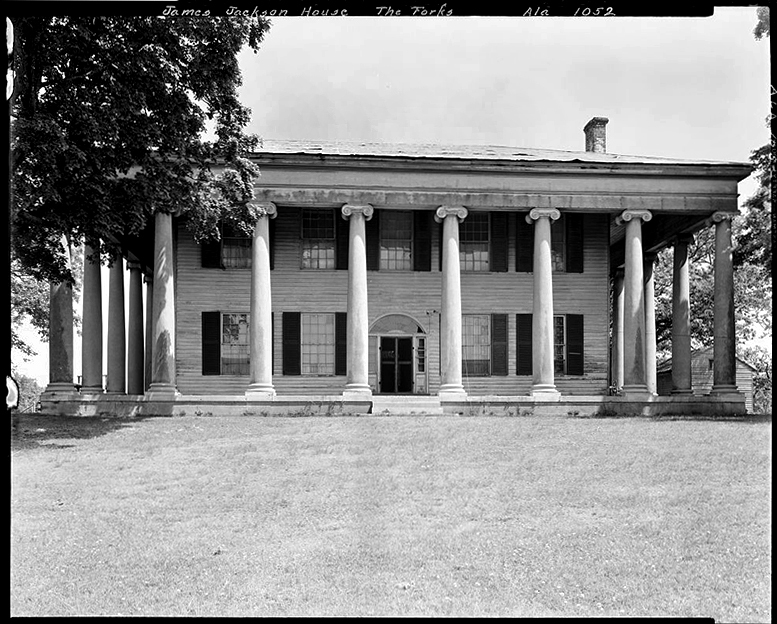 The Forks of Cypress house, completed in 1830, was built by planter and horse breeder James Jackson outside Florence, Lauderdale County. The home was unusual for being surrounded on all sides by a colonnade. It burned as a result of lightning in 1966 but had been fully documented in photographs and diagrams by the federal Historical American Building Survey in the 1930s. Those plans were later used to re-create the home as a bank building in Florence in 1982.